Sonia Black, is a Jewish student of Politics at the University of Edinburgh, graduating this year. Salaam Shalom are supporting her to volunteer for Project Harmony this Summer (2015). She will be the only volunteer from the UK. Project Harmony is based in Jerusalem in the neighbourhood of Pat, which borders the ‘Green Line’ between Israel and the West Bank. 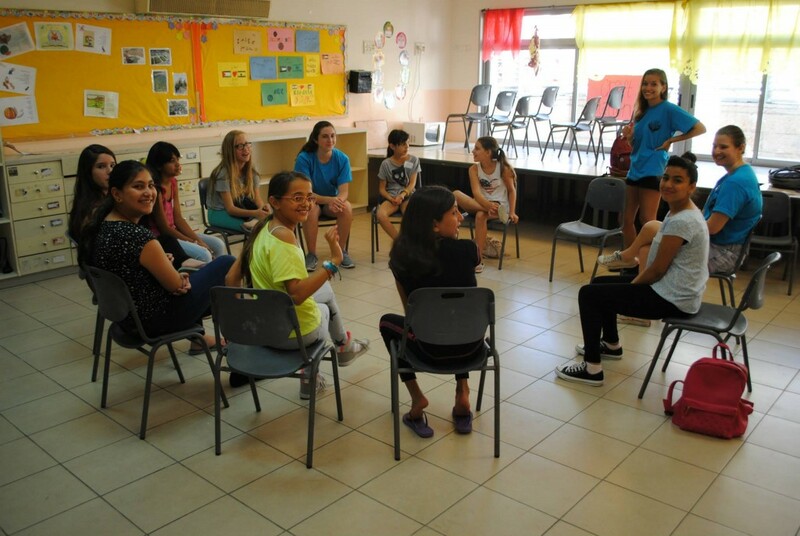 It is a four-week English language programme for Israeli and Palestinian children, and it creates a safe, integrated space for young people to communicate and build lasting relationships. Salaam Shalom wanted to support Sonia, because Project Harmony shares some similarities with our Proud2B project in Britain, where we bring children together from distinct communities, to participate in a range of creative activities that enable them to improve their communication skills and confidence, whilst meeting and discovering more about others from different social, cultural and economic pockets within a city. Thereby preventing the development of prejudice and discriminatory behaviour at a key age in childrens development. We also believe that Sonia will bring valuable learning with her back to the UK, which she aims to share widely. Project Harmony is an initiative of the ‘Hand in Hand Bilingual School for Jewish-Arab Education in Israel’ In November this primary school was the target of an arson attack. Two classrooms were destroyed, and offensive graffiti was sprayed on the walls. Blog post 1: Scroll down this page to read. “We believe that by creating a safe integrated space for children to share experiences, our campers are able to build organic, lasting relationships–on their own terms. Sonia is going to be sharing her experience with us through articles (below) and she will be recording interviews whilst she is there which we will edit on her return. So we will be uploading a podcast and some photos to this page too. What does it mean to “support” Israel? As a young Jewish woman it is a question with which I have grappled for several years. From attending Jewish primary school to Jewish summer camps; the concept of supporting Israel has been presented to me as a prerequisite of my Jewish identity – a responsibility I was born into. It is a responsibility which I have never been sure how to handle; one with which I have tried to engage, and one from which I have attempted to distance myself. It wasn’t until a recent visit to Jerusalem and the West Bank that I began to reconsider what it meant to “support” Israel. On a trip which aimed to shed light on the roles and circumstances of Israeli and Palestinian women in conflict, I found myself in a disagreement with a Jewish settler in Efrat. I felt that I’d had enough; that I had been told this country was part of my identity yet I could not find a shred of my identity within this country. “Israel is your sister”, she lamented, “and you wouldn’t just abandon your sister if she had a few problems”. While the aim of her plea was that I embraced Israel warts and all – that I turned a blind eye to any and all injustice and that I accepted the ongoing conflict as an inevitable state of affairs – the statement gave me pause for thought. If Israel really were my sister, what would it mean to support her? I thought of my own younger sister, how I would hope to help her navigate the world, and the kind of person I would want to help her become. I would want her to be someone kind and compassionate, who embraces different identities and experiences. I would want her to be self-aware; to know when she has hurt and alienated people and to strive to become a better version of herself. I wouldn’t stand idly by if she were creating an environment in which those around her felt they could not address her issues for fear of being cast aside. I may find the relationship hurtful and frustrating, but she, as my sister, would be a responsibility I was born into and one which I could not discard if I tried. Since that night in Efrat, I have a different notion of what it means to “support” Israel. It is not all-or-nothing, continuous agreement and justifications for all that is said and done. It is a commitment to challenge injustice and to promote understanding, cooperation and improvement. It is for this reason that I will spend the summer volunteering with Project Harmony Israel. 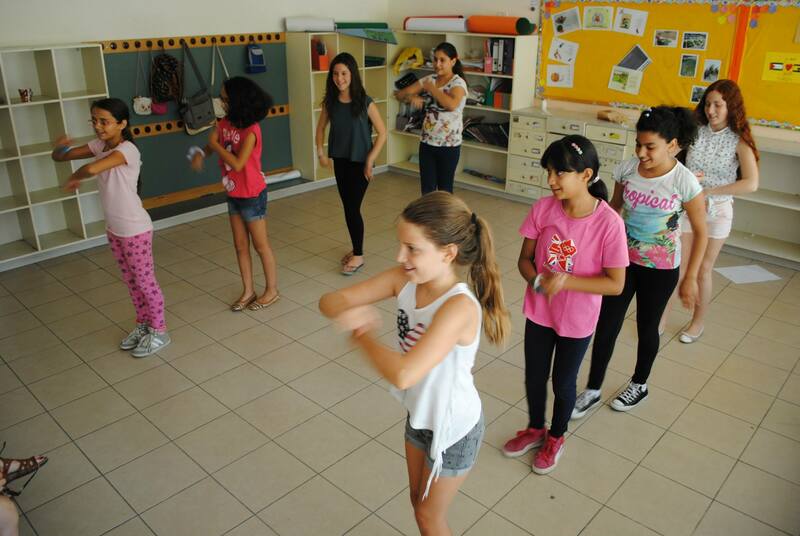 Project Harmony Israel is a four-week English-language summer programme for Israeli and Palestinian children from Jerusalem and the surrounding area. An initiative of the Hand in Hand: Centre for Jewish-Arab Education, it aims to create a safe social space in which children, who live the vast majority of their lives separately, can learn and play in an integrated environment. Project Harmony Israel does not aim to force relationships or conflict resolution between Israelis and Palestinians. It’s premise is far more simple: that kids deserve the chance to be kids and to come into their own as individuals – an opportunity which those who grow up in conflict are rarely provided. The children participate in arts and crafts, sports, music lessons, and day-trips. The camp hosts guest teachers to lead workshops and holds community events in which families, friends and community members are invited to celebrate the campers’ achievements. Project Harmony is unique in its role as an integrated English language summer camp. It brings together volunteers from around the world who strive to change things in Israel for the better. It is a group of individuals who share my understanding of the the word “support”: who see this summer programme as an opportunity to demonstrate that the status quo is not an inevitability. It is the chance to take an active role in shaping a better, more tolerant society. In its own small way, Project Harmony Israel is bridging the gap between conflicting peoples; proving that there are no natural enemies and that different cultures and religions can be celebrated and respected together. Tomorrow I begin my role as a volunteer at Project Harmony Israel, and I will be thinking of the comparison made by the settler in Efrat. I will remember that if Israel were my sister, though her problems may seem insurmountable, it wouldn’t stop me from trying to do something about them – even if I wasn’t welcome to interfere and even if it was not the kind of “support” she was hoping for.